If you are friends with ECMN on Facebook (and I hope that you are, because it is the best way to catch the latest and greatest), you will have seen that over the last couple of weeks I have been blessed to spend a great deal of time at our two schools, Shattuck-St. Mary’s and Breck. I love being with the students and faculty at any time of the year, but nothing beats the magic of back-to-school. Like many, I have incredibly fond memories of those first few days of school – reconnecting with friends and anticipating a full year of activities. Yet beyond the nostalgia, the real reason I like to begin the school year with the students is to voice my support for the importance of being a learner. In my opinion, far more significant than what classes are taken or the grades that are earned, is acquiring the love of learning. And with the advent of the Internet, any educator will share with you that information is more readily accessible than ever. Yet fostering a desire for that knowledge, and just as importantly learning how to think both critically and creatively, are essential life tools. As our faith communities begin the program year, I invite you to take full advantage of whatever formation opportunities are offered. And don’t stop there. If you are not already, consider becoming a daily reader of the Bible, as well as other books that spark and nurture your desire to learn. Let’s start the school year off right and commit to being lifelong learners, and equip ourselves for the ministry we are called to. 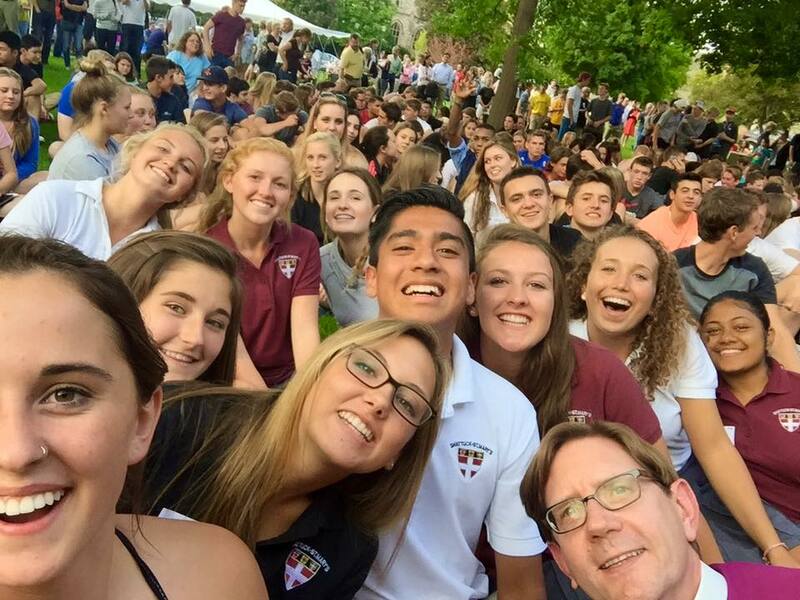 Click here to view the video of new students and faculty at Shattuck-St. Mary’s taking part in the human arch tradition and launching balloons to kick off the new year!